Both Spiritual and Physical reasons (I’ve fasted a few times in my life and this year I’ve been both Spiritually and Physically out of sync) I continue to procrastinate which is not like me, I want more focus and discipline in my life as well as energy, I need clarity! Proposed Fasting Method: Half Juices and half Lemonade cleanse. Welcome. As you have already completed a long fast we can be an encouragement to you. A second fast can be harder that the first as the newness or the experience is a catalyst. To continue the progress report just post your fasting diary below. Great to have you with up. Fill your mind with the memories of how great you felt on the last fast. Did you use a juicer on the last fast? No I didn’t use a juicer, I purchased my juices from Ardens Garden, they are all natural and they make them in front of you and also a few health stores do carry them. I feel bad every time I try and get set back, so tomorrow is a new day that I will begin again. I would love to trya 7 day fast, but I am a student and a single mom so I don’t know if that is a good idea? If you drink enough juice it will sustain your energy level needed for being a mum. I am also from the Atlanta area. I am 56 years old and I have memories of my mother fasting. I was planning a 3 day juice fast, to be followed by a 15 day water fast, ending with a 3 day juice fast. I wanted by doctor to monitor my blood pressure, and his comment was, “Why do you need to be so drastic!” And, I was put off. Tell me please, what was the result of your first fast? Blood pressure will lower during a water fast. It can be very low 70/100 but that is consistent with the body conserving energy. In the hospital fasting treatments, we monitored blood pressure daily but mostly for records. The only time that blood pressure readings were important were in the treatment of high blood pressure too determine rate for reducing BP medication. In general when BP reached 120 or under for 3 readings, we cut off blood pressure medications. 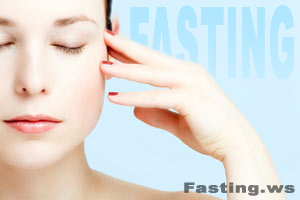 When fasting, if you get dizzy, lower your body to rebalanced blood pressure. Thank you for your comments about blood pressure. I will be taking your advice because a person should not have to be on HBP meds for an entire adult lifetime.